Barrett's oesophagus is when the cells lining the lower part of your oesophagus (gullet) get damaged by acid and bile repeatedly coming up from your stomach. Over time, the cells may become abnormal and there’s a small risk that cancer will develop. If you have Barrett’s oesophagus, your doctor may recommend you have regular checks for very early signs of cancer. These checks are done with a narrow, flexible tube-like camera called a gastroscope. You can then have treatment to stop the cancer developing. You may find it reassuring to know that most people with Barrett’s oesophagus do not develop cancer. 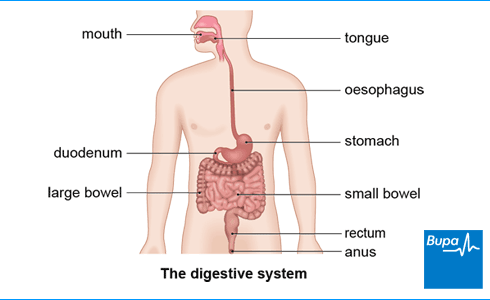 Your oesophagus (gullet) is part of your digestive system – it’s the tube that goes from your mouth to your stomach. The medical term for acid and bile travelling back up from your stomach is gastro-oesophageal reflux. You may also hear it called acid reflux. Barrett's oesophagus can develop if you have gastro-oesophageal reflux for a long time – probably at least five years. Acid and bile that travels up from your stomach may eventually cause the flat, skin-like cells in the lower part of your oesophagus to change. They become more like the cells that line your stomach and small intestine. These changed cells have an increased risk of becoming cancerous. When these cells change to become precancerous, this is called dysplasia. Under the microscope, cells may be described as having low-grade (less) or high-grade (more) dysplasia. The degree of dysplasia will affect whether you need treatment and what treatment you have. Barrett’s oesophagus is named after the surgeon who first described the condition. It affects around two people in a hundred, and is more common in men. Most people who get it are over 50. If you have heartburn or indigestion, a pharmacist will be able to advise you on treatments that can help. But if your symptoms continue, contact your GP for advice. Your GP will ask about your symptoms and may examine you. They may also ask you about your medical history. Your GP may arrange for you to have a test called a gastroscopy. A specialist doctor called a gastroenterologist or specialist nurse will look inside your oesophagus and stomach using a narrow, flexible, tube-like telescopic camera (gastroscope). It can help your doctor to tell whether you have Barrett’s oesophagus or not. You can find out more about this procedure from our information on gastroscopy. During the gastroscopy, your doctor or nurse may need to take small samples of tissue (biopsies) from the lining of your oesophagus. They’ll send these to a laboratory to look for abnormal cells. Barrett's oesophagus is often only picked up when you have a gastroscopy to investigate another problem, such as abdominal (tummy) pain. If you have Barrett's oesophagus, your gastroenterologist may want to monitor your condition. If so, they’ll arrange for you to have regular gastroscopies with biopsies. These will help to detect any abnormal changes that may develop in the cells in your oesophagus. Your doctor may recommend these from every few months to every five years, depending on how severe your condition is. It’s not always necessary to monitor Barrett's oesophagus in this way. Your doctor will discuss with you the pros and cons of regular monitoring, and what might be best in your individual circumstances. You may find it helpful to read our information on indigestion. Treatments for Barrett's oesophagus aim to prevent further gastro-oesophageal reflux and, if necessary, remove any damaged areas of tissue from your oesophagus. Your doctor may prescribe you medicines to reduce the amount of stomach acid you produce. This should in turn reduce gastro-oesophageal reflux. They’ll usually prescribe you medicines called proton pump inhibitors. You may need to take these medicines long-term to control your symptoms. If medicines don't work, your GP may refer you back to or seek advice from your gastroenterologist to talk about more options. If tests show that you have abnormal cells which might turn into cancer (precancerous cells), you may need monitoring with further gastroscopies or treatment. A team of doctors and other cancer specialists will look at your results and recommend the best option for treatment in your individual circumstances. Your own wishes will also be taken into account. In some hospitals, doctors may be able to offer treatments to remove the layer of damaged cells using a gastroscope (called endoscopic treatments). Healthy cells usually regrow over the area after this. Endoscopic treatments include the following. Radiofrequency ablation uses heat made by radio waves to destroy the abnormal cells. Your doctor will use a probe to apply an electrical current to the abnormal cells in your oesophagus. This will heat them up until they’re destroyed. This is the most common way to treat this condition. Endoscopic mucosal resection is a treatment to remove any outgrowths of affected tissue from the wall of your oesophagus. This technique is often used to remove very early cancer of the oesophagus. Your doctor may use ablation therapy after this, to help get rid of any other damaged cells. Your doctor or surgeon will tell you if any of these treatments are suitable for you. They might not be available in all hospitals, and you may need to be referred to a hospital that specialises in them. If your gastroenterologist thinks you may benefit from surgery, they’ll refer you to a surgeon to discuss your options. There are two types of surgery for Barrett's oesophagus. This is an operation to strengthen the valve at the bottom of your oesophagus, which prevents further gastro-oesophageal reflux. Your doctor may recommend this surgery if your symptoms are really bothering you but you don’t want to take medicines long term. It may also be an option if you have side-effects from acid-reducing medicines. You can find out what’s involved in this operation from our information on fundoplication. This is an operation to remove the affected area of your oesophagus. Your doctor may advise you to have this operation if you’ve developed an early cancer as a complication of Barrett’s oesophagus. In this operation, your surgeon will remove the affected section of your oesophagus and then join your stomach to the remaining part. For more, see our information on oesophageal cancer. Barrett's oesophagus is caused by long-term reflux of acid and bile. This is when stomach acid and digestive juices travel upwards from your stomach into the lower part of your oesophagus. Usually, stomach contents are kept in your stomach by a muscular valve that stops them from reaching your oesophagus. But if you have Barrett's oesophagus, your valve may have become weak or moved out of place, which allows acid and bile to leak upwards. The cells lining your oesophagus become inflamed and damaged. They eventually get replaced by new cells which are more like those lining the stomach. This is probably your body’s way of protecting the lining of the oesophagus from further damage. Only about one in 20 people who have reflux go on to develop Barrett's oesophagus. You're more likely to develop it if you’ve had severe reflux symptoms for many years. The most important complication of Barrett’s oesophagus is that it can develop into cancer. Each year, for every 200 people with Barrett’s oesophagus, one will develop oesophageal cancer. This means that most people with Barrett’s oesophagus do not get cancer. And you may have Barrett’s oesophagus for many years before cancer develops. The risk of developing cancer is much lower for people who have endoscopic treatment (see our section on treatment above). Does oesophageal cancer always follow Barrett's? Does oesophageal cancer always follow Barrett's? No, not everyone with oesophageal cancer will have had Barrett's oesophagus first. There are two types of oesophageal cancer – adenocarcinoma and squamous cell carcinoma. Adenocarcinoma usually develops in people who have Barrett's oesophagus, but squamous cell carcinoma isn't linked to Barrett’s. So you can develop this type of cancer without having Barrett’s oesophagus first. Can radiofrequency ablation cure Barrett's? Can radiofrequency ablation cure Barrett's? Yes, radiofrequency ablation therapy can often cure Barrett's oesophagus. See our treatment section above to find out more about this procedure. After treatment, your risk of oesophageal cancer will be significantly lower. Doctor’s don’t recommend radiofrequency ablation for everyone with Barrett’s oesophagus. It’s usually only recommended if the cells lining your oesophagus show signs of being precancerous (dysplasia). This is because, as with all procedures, there are some risks with having radiofrequency ablation. These include getting areas of narrowing (strictures), punctures in your oesophagus, and bleeding. Ask your doctor for more information about the potential benefits and risks of radiofrequency ablation and if it's an option for you. How long does it take to develop cancer? How long does it take to develop cancer? Most people with Barrett's oesophagus don't go on to develop cancer at all. For every 200 people with Barrett’s oesophagus, only one will go on to get oesophageal cancer each year. And it usually takes many years for the cancer to develop. Cells in the damaged area of the oesophagus go through a number of changes before they become cancerous, and this takes time. If you have Barrett’s oesophagus, it’s important to follow any advice your doctor gives you and to attend any appointments for monitoring your condition. This will give you the best chance of cure if a cancer does start to develop. But remember, in most cases Barrett’s oesophagus does not become cancer. Fundoplication is an operation to treat gastro-oesophageal reflux disease (GORD) when it can’t be controlled with lifestyle changes and medicines. Indigestion medicines can be used to relieve pain or discomfort in your upper abdomen (tummy) or chest that may occur soon after meals. This information is for you if you have indigestion and are considering seeing your doctor.